The Dorper Sheep Society of Australia exists to develop and promote the Dorper and White Dorper sheep breeds in Australia. The dorper breeds are Australia’s preeminent low maintenance meat sheep, adapted to a vast range of conditions across the country. The Dorper breeds have been used as a base for a number of new composite ‘breeds’ but only Dorpers and White Dorpers have the performance and predictability, based on 80 years of breeding, to enhance the long-term profitability of the national sheep flock. To promote and market Dorpers and White Dorpers to increase the acceptance and demand for the breeds and their genetics. To maintain the genetic integrity of the Dorper and White Dorper by keeping a register of full blood sheep in Australia. Promoting performance recording of the dorper breeds in Australia. Providing training for members on the breed standard of excellence. 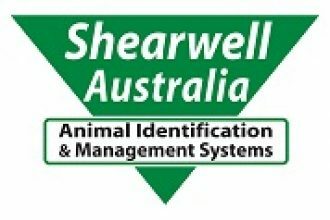 Maintaining a register of skilled accredited inspectors to assess Dorpers and White Dorpers against the breed standard. To share the achievements and learnings of members through the Society’s various promotional facilities. Inform Society members of advancements of economic advantage within the sheep industry. The 11th Annual Bendigo Supreme Dorper and White Dorper Sale will be held Sunday 21st July at 1pm.